Tactile Indicators with Rubber Inserts are important safety equipment widely installed on walkways and foot path, inside shopping centre car parks as well as indoor and outdoor stairways. 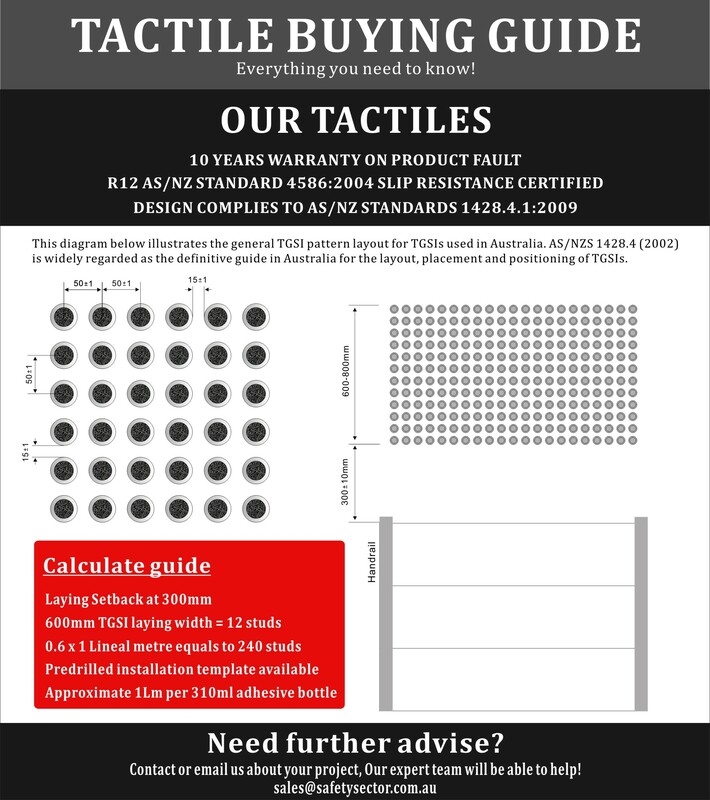 TGSI tactile is one of the most commonly used warning system for visually impaired individuals against potential hazards such as ends of the platform, ramps and stairways. The other important feature of tactile indicators is its slip-resistance rubber inserts providing extra safety assurance for crowded railway platforms, stair ways, bus stops and pedestrian crossings. Safety Sector is proud to supply Tactile Ground Surface Indicators in marine grade 316 stainless steel silver, black or gold finish with rubber and carborundum inserts.